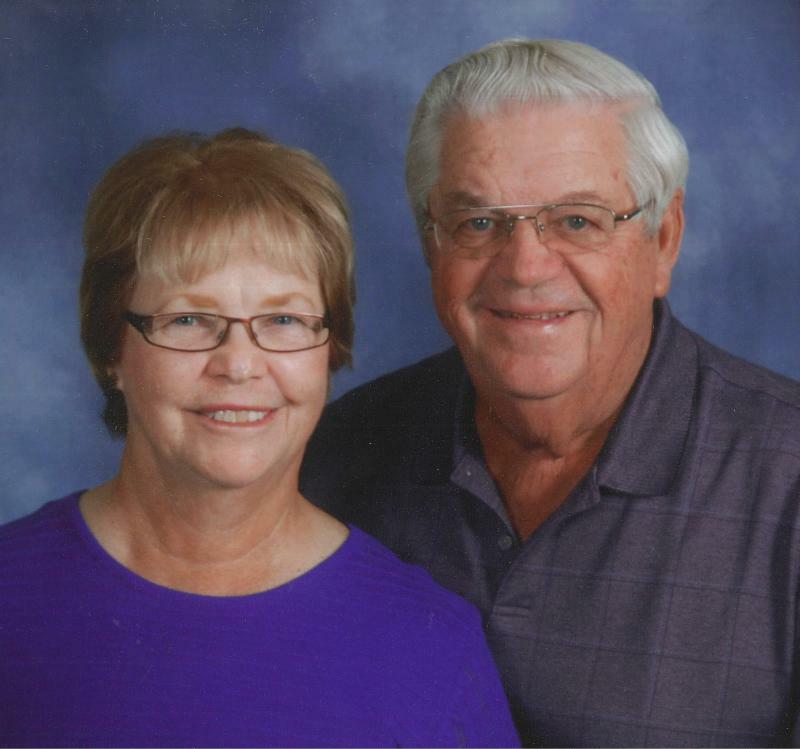 David & Joyce Gomer learned the importance of caring for others at a young age. Guided by their parents, they have always appreciated the fulfillment of placing community above self. To preserve their family's tradition of generosity, David and Joyce Gomer opened a Giving Fund through the Cape Coral Community Foundation to continue their legacy as community philanthropists. With the Cape Coral Community Foundation as their giving partner, David and Joyce will be woven into the lives of others in the community... For Good. For Ever. We invite you to join our community of Generous Givers. Like David and Joyce Gomer, your "Giving Fund" will have an impact on others. Your Giving Fund will feed the hungry, sustain the arts, deliver cures, and educate minds. More than 92,000 people in Lee County are struggling with food insecurity - these are our neighbors, co-workers, and friends. When families are forced to make difficult choices, organizations like the Harry Chapin Food Bank offer hope and help to our community by stepping in to fill the gaps. 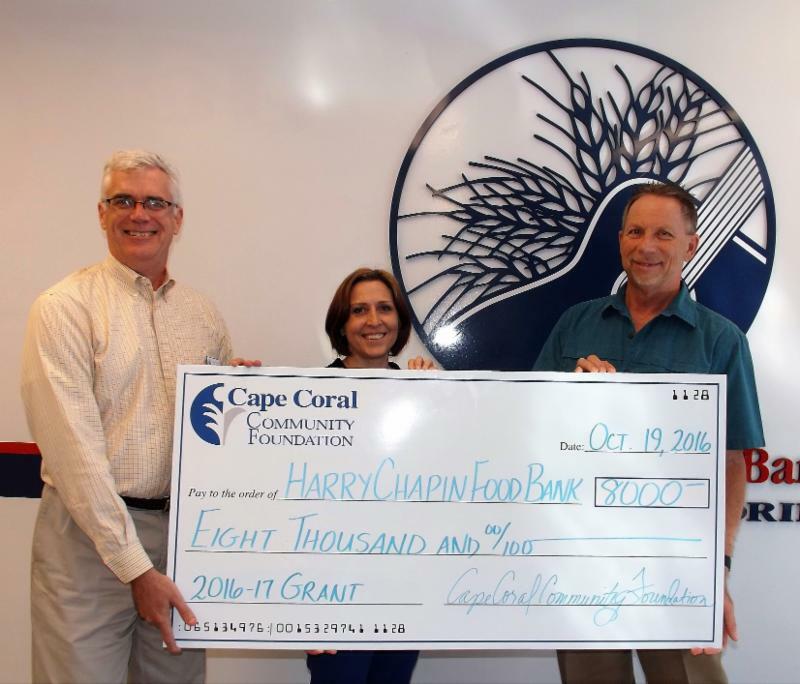 The Harry Chapin Food Bank was recently awarded an $8,000 grant from the Foundation. Coupled with a donation of $2,000 from the Giving Alliance of Women, these funds will provide food for hundreds of families in Cape Coral through the Food Bank's mobile pantry program, bringing not only non-perishable items, but fresh produce and frozen meats to families in need. The Mobile Pantry Program distributes over 43,000 pounds of food, valued at $72,000, in Cape Coral at six locations. This puts 36,000 meals on the tables of nearly 2,700 people. Nearly half of those served are our most vulnerable populations - seniors and children. For more information visit Harry Chapin Food Bank online. In January of 2016, families with the shared experience of loss and grief began meeting in a house in downtown Fort Myers. Gathering for a meal and then breaking into groups, these families have found a caring community and a safe space for grieving. One in seven Americans suffers the loss of a parent or sibling before the age of 20. While these families are certainly not alone, they often feel isolated in their schools and neighborhoods as they cope with loss. Valerie's House is currently serving over 70 kids, ages 4 to 19, as well as their parents, grandparents, and caregivers. Groups are led by volunteers who have personal experience with loss and grief, as well as trained professionals in social work and therapy. The art, games, and other activities are all designed with a purpose - giving children who have experienced loss the tools to grieve in a positive and productive way, and putting them on the path to success. 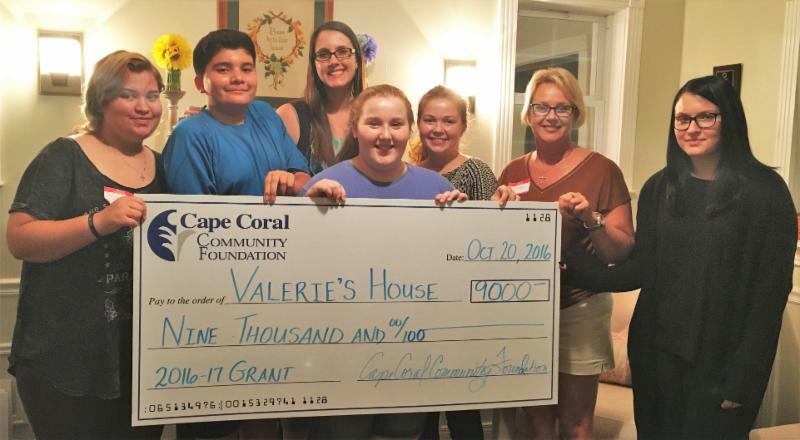 Funding from the Cape Coral Community Foundation, along with a strong partnership with Cape Christian Fellowship, opens the doors to offer more families the opportunity to connect and experience the life-changing programs offered by Valerie's House. To learn more, visit Valerie's House online. Pictured above: Danielle Visone, Program Director at Valerie's House (back center) along with members of one of the teen grief groups. The Cape Coral Community Foundation is pleased to welcome Carolyn Johnson to its Board of Directors. Carolyn is the Vice President of Communications and Development at Goodwill Industries of Southwest Florida. Ms. Johnson is a graduate of the University of Florida where she earned her Bachelors of Science degree in Communications and Journalism. 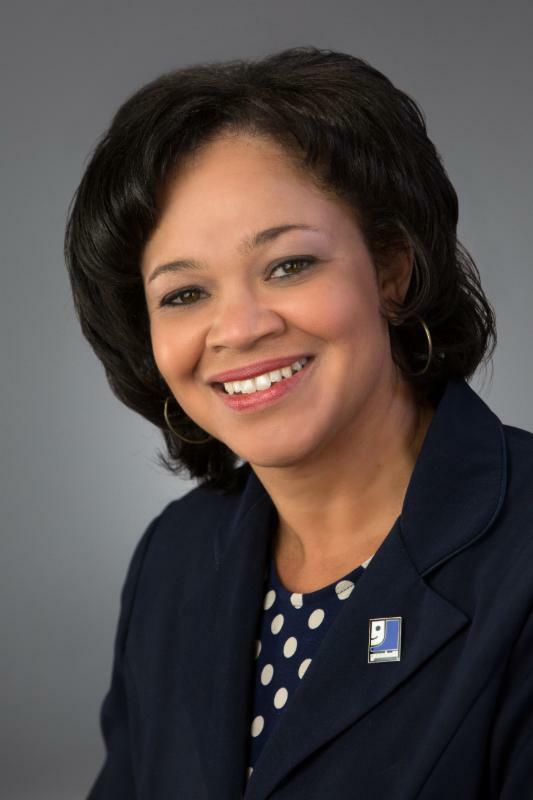 She is also a recent graduate of an 18-month Goodwill Industries International Exchange Development Program where she studied the principles of executive leadership and development. A resident of Cape Coral for 38 years, Ms. Johnson has grown up in Cape Coral and offers the Foundation a wealth of knowledge and a strong sense of community and service. The Cape Coral Community Foundation presents Phil Cubeta who will share his expertise in charitable giving at a Lunch & Learn hosted by Faith Presbyterian Church. Some of your clients are charitable. This is a free event, but we do ask that you register by calling 239-542-5594 or [email protected]. 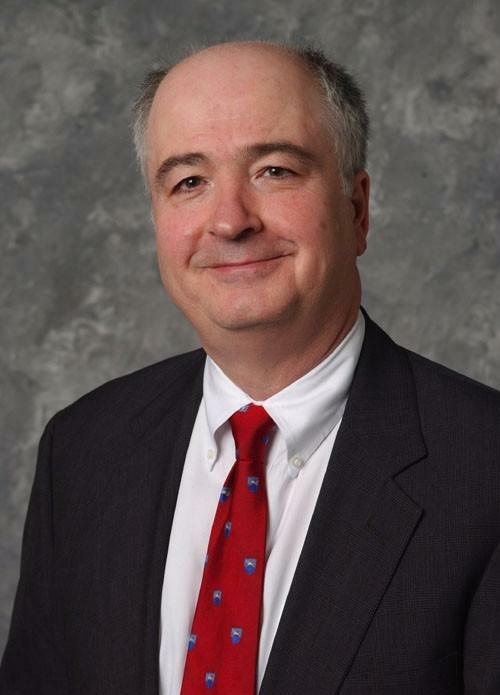 Phil Cubeta is the Wallace Chair in Philanthropy at The American College of Financial Services where he directs and teaches the Chartered Advisor in Philanthropy (CAP) curriculum. Prior to joining The College, Professor Cubeta served as Chief of Staff for The Nautilus Group, a service of New York Life, providing estate, business, and philanthropic strategies to affluent clients of its member agents. The foundation is now accepting nominations for the 2017 Elmer Tabor Generosity Award. Details can be found on our website. Help us recognize the generous leaders in Lee County who inspire through example.